Center for Molecular Electrocatalysis unites experts from many fields to conquer problems in energy production, storage and use. Morris Bullock will direct the center that involves researchers from three universities and a national lab. RICHLAND, Wash. — The Department of Energy's Pacific Northwest National Laboratory welcomed one of the 32 multi-million dollar Energy Frontier Research Centers announced by DOE this week. The centers are charged with pursuing the scientific underpinnings of various aspects of energy production, storage and use. As a renewal of an EFRC established in 2009, the Center for Molecular Electrocatalysis is poised to take on new scientific challenges exploring chemical reactions at the core of technologies such as solar energy and fuel cells. Funded by the DOE's Office of Science, the centers across the nation will pursue scientific research that addresses big questions called Grand Challenges outlined by DOE that will transform how we make and use energy. The research to address these challenges will delve into problems such as matter that self-assembles into unique materials, converts electricity into chemical bonds for long or short-term storage, or mimics needed expertise found in the natural world. "I have full confidence that the caliber of our exceptional staff and our scientific leadership will allow DOE to further enable and accelerate transformative discovery in an area that is so critical to our nation's energy future," said PNNL Director Mike Kluse. Directed by PNNL chemist Morris Bullock, the Center for Molecular Electrocatalysis will receive $3.5 million a year for four years and involve researchers from several disciplines. "We need the kind of diverse expertise Morris has assembled in this EFRC to surmount the challenge of moving toward zero carbon energy," said Doug Ray, associate laboratory director of fundamental and computational sciences. "They've made remarkable advances understanding the complex chemical reactions at the heart of converting between electricity and chemical bonds. Their work will surely contribute to inexpensive catalysts that will enable more effective energy storage in the future." In addition to leading one center, PNNL will also partner on two others. 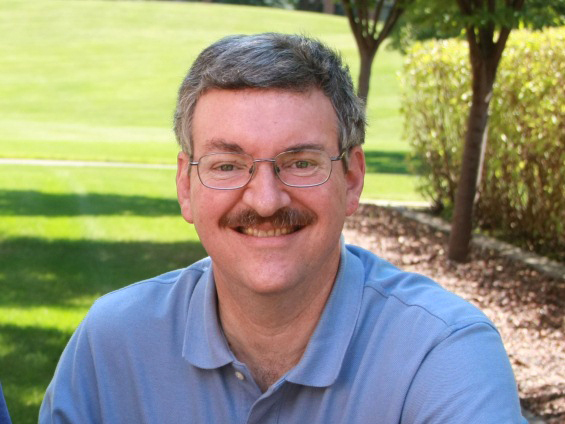 PNNL's Johannes Lercher, director of PNNL's Institute for Integrated Catalysis, and others will contribute to the University of Delaware-led Catalysis Center for Energy Innovation and the University of Minnesota-led Inorganometallic Catalyst Design Center. Since 2009, researchers at PNNL's Center for Molecular Electrocatalysis have been studying molecules called catalysts that convert electrical energy into chemical bonds and back again. Of interest are catalysts that pack energy into bonds involving hydrogen, oxygen or nitrogen. These reactions are at the core of technologies such as solar energy and fuel cells. In the past five years, the researchers have dramatically improved their understanding of details of catalytic reactions, designing exceptionally fast catalysts that produce molecular hydrogen and others that split it, inexpensive metal-based catalysts that split molecular oxygen to make water, and have found new ways to split molecular nitrogen. In the next four years, the team will work to make the hydrogen reactions faster and more efficient, to discover more selective catalysts to split molecular oxygen, and improve important aspects of molecular nitrogen catalysts. "Our team has made some really great progress," said Bullock, the center's director. "We are excited about moving forward with new research." The Center for Molecular Electrocatalysis will include researchers from PNNL and the University of Illinois, the University of Wisconsin and Yale University. Pacific Northwest National Laboratory is supported by the Office of Science of the U.S. Department of Energy. The Office of Science is the single largest supporter of basic research in the physical sciences in the United States, and is working to address some of the most pressing challenges of our time.